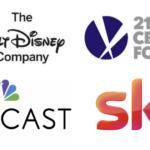 Comcast has announced that they have extended the deadline for shareholders of Sky to accept their offer for the outstanding shares of the European TV provider and creator. Comcast then extended their deadline until September 12th, 2018. If Sky is successful, they will sell Sky News to Disney, regardless of the sale of the rest of the assets Disney is purchasing from Fox.